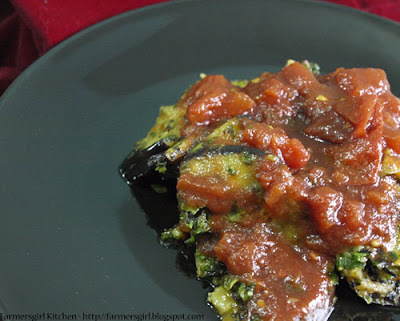 Farmersgirl Kitchen: Romanian Sweet and Sour Eggplant - Street Food! 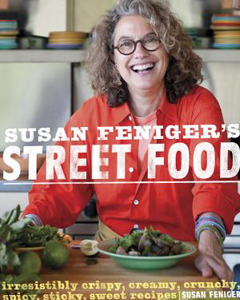 I had never heard of Susan Feniger until I was asked if I would like to review her book, Street Food. It turns out that she is one of the original Food Network cooking stars. Susan opened her first solo restaurant, STREET, in Los Angeles in 2009 and in this book she shares 83 of her favourite recipes adapted for home cooks. What does Street Food mean to you? I was fairly horrified realise, how few street food opportunities we have locally, perhaps it’s just the very rural area that I live in and a climate that doesn’t encourage outdoor eating! 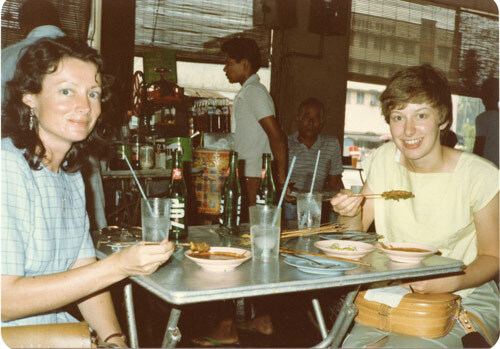 Thinking about my own memories of street food, they do seem to be from holidays in the sun, I remember eating crepes in France, at 12 years old , and roast chicken never tasted better than the pollo roti eaten on a Spanish beach, but when I think of street food, it is the food we ate in Malaysia, we ate from street stalls almost every day for three weeks. This is a book for the adventurous cook. Someone who is willing to seek out unusual ingredients and try new techniques, not the comfortable, recognisable classics with a twist that many chefs produce. You may recognise a few of the dishes, like Thai Drunken Shrimp with Rice Noodles, but there are many more that I had certainly never heard of; "Any one for Tatsutage Fried Chicken with Spicy Yuzu Mayonnaise?" THE SALTS; THE SOURS; THE SWEETS; THE HOT AND SPICY and THE MELLOWERS AND COOLERS. Elixirs & Tonics & Lhassis including Canton Ginger Kick, Honeydew Cucumber Cooler, Salted Lhassi with Cumin and Mint. In addition to the recipes there are four Travelogues, taking you in words and pictures to Vietnam, India, Turkey and Mongolia. Susan Feniger summons up the sights, sounds, smells and particularly the tastes of the places she visits and the food she eats. I enjoyed reading these sections, they help to contextualise the culture and landscape of the original recipes. I enjoyed the variety of the recipes and found the different techniques and ingredients really inspirational. I can see this book being a jumping off point for all kinds of cooking experimentation. The photographs are clear and the recipes well laid out. There are no metric ingredients measures and no conversion chart, as with many US publications. Some of the ingredients would be extremely difficult to source e.g. Cactus Paddles!!! 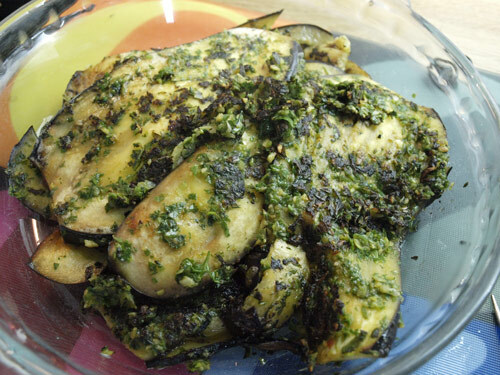 Here is what Susan says about this recipe: There’s a very traditional dish made in home kitchens all throughout Romania and south eastern Europe that’s typically called “eggplant salad”. I toyed with different ways to highlight the key flavours of the original recipes which seems underplayed. I like to make a green salad with watercress, olive oil and lemon, top it with a scoop of this sweet and sour eggplant, and serve it with a slice of toasted sourdough bread topped with goat’s cheese and roasted red peppers. Cut off and discard both ends of each eggplant, and cut them lengthwise into ¼ inch thick slices. Lay the slices out on a baking sheet, and sprinkle both sides with the 3 tablespoons of salt. Set aside for 20 minutes so that he salt will draw out some of the water from the eggplant. Then pat the eggplant dry with a dish towel. 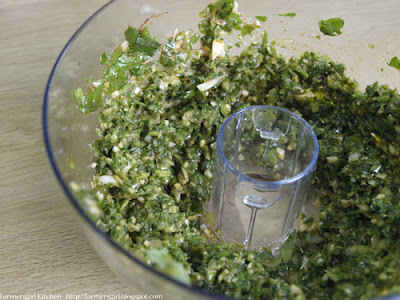 Put the olive oil, garlic, scallions, parsley, cayenne and remaining ½ teaspoon salt in a food processor,and puree until a smooth paste forms (it will resemble pesto). Spread liberally all over both sides of the eggplant slices. In a large sauté pan set over medium-high heat, heat 2 tbsp canola oil. 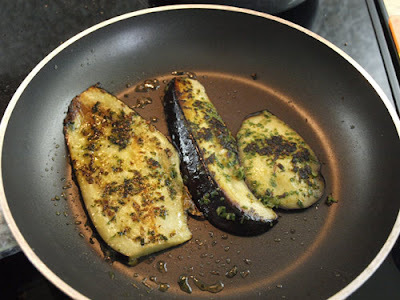 Add enough eggplant slices to cover the bottom of the pan, and cook until they are browned on both sides and cooked through, 2 to 3 minutes per side. 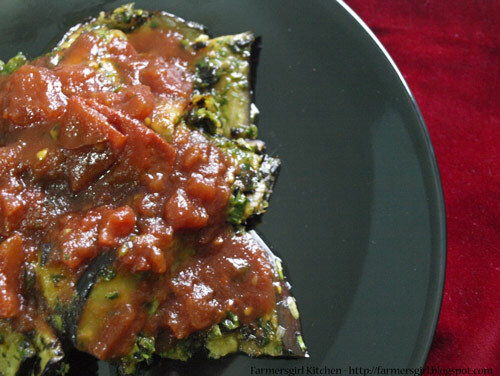 Transfer the eggplant to a platter or plate. Repeat this process with the remaining eggplant slices, adding 2 tablespoon oil for each batch. 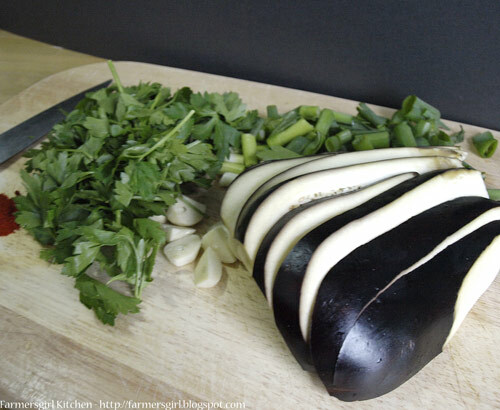 Cut the cooked eggplant into 1 inch wide strips. In a saucepan set over medium heat, combine the tomatoes, vinegar and brown sugar. Stew for 12 minutes or until the tomatoes begin breaking down. Add the eggplant strips and stir together. Reduce the heat to low and simmer for 8 to 10 minutes until most of the liquid has been cooked off. Remove from the heat and serve or chill. This dish may be served warm or cold. We enjoyed the Romanian Sweet and Sour Eggplant, it's bursting with flavour and can be made ahead. There is nothing particularly daunting about the recipe as long as you have a food processor to make the 'pesto'. I think it would be a great dish to include in a tapas/mezze style meal. I doubt if I would have picked up this book in a book shop, but I would really have been missing out on an enjoyable reading experience and an excellent cookbook. It is some time since I have felt inspired to take a cookbook to bed to read, high praise indeed! I would recommend it to anyone who wants to try some new flavours and and regain their cooking mojo! Be inspired to try some STREET FOOD. Congratulations - great presentation! Great pictures! Those Eggplant - Street Food - fantastic! This recipe is one of my favorites! Very tasty indeed! I wish you successful sales! This post helsp me a lot, 'cause ?m searching street food recipe, as inspiration for a contest! I agree with you about how many example we've around, and here in Italy it's very common to find different kinds of stret food in each different area! This looks like a great collection of recipes. Whilst I love the idea of the book I doubt too I could source cactus paddles! 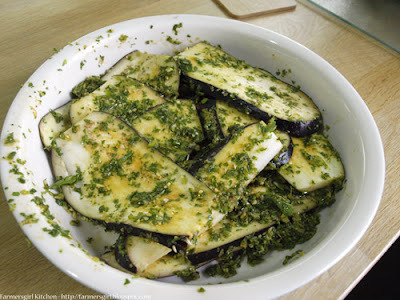 Love the sound of the aubergine dish, is one of my favourite veggies!